London, UK, November 4, 2016 – ExceleratedS2P, the global provider of solutions in Source-to-Pay, announces its entry into Asia-Pacific through an acquisition of an Australian Source to Pay company. The acquisition will provide ExceleratedS2P with additional experienced SAP and Ariba resources, a presence in the Asia Pacific region and supply chain expertise, which will be leveraged on a global basis. “ExceleratedS2P works with local as well as global companies and this acquisition will allow us to better serve those customers who are needing a truly global team of experienced source to pay, Ariba and SAP consultants” says Conor Mullaney, Co-Founder at ExceleratedS2P. The source to pay marketplace is starting to focus on supply chain and direct procurement integration and the acquisition provides us with deep experience which will be used to establish a new Supply Chain/Direct Procurement Centre of Excellence. ExceleratedS2P has broad expertise in procurement transformation and adoption. 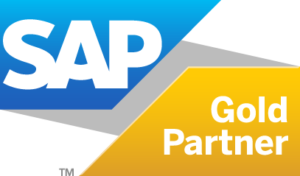 Our dedicated team of sourcing and procurement professionals understand the complexities of both Ariba and SAP, and we can help organisations to experience the full potential of both solutions.